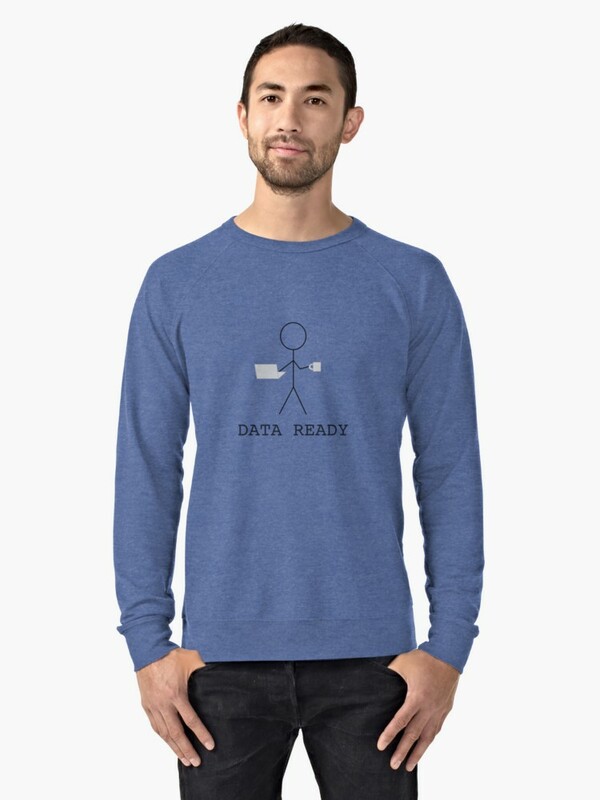 Welcome to the Data Embassy! I’m a tea drinking Aucklander with a Canadian accent, and I really, really like talking, thinking and learning about statistics. 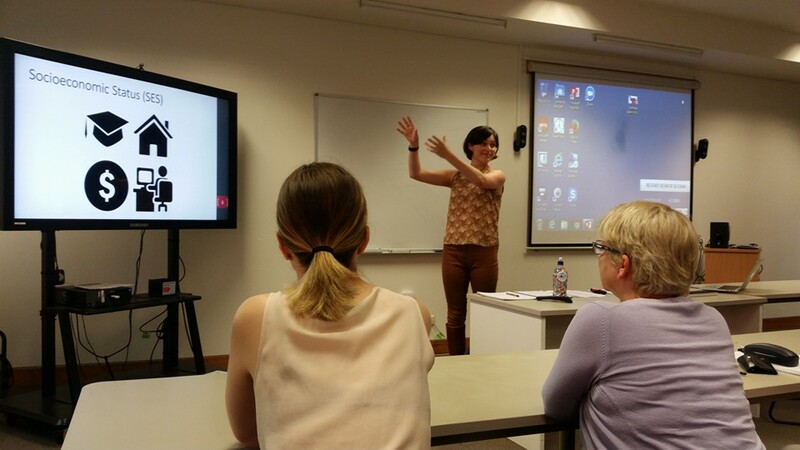 I teach introductory statistics, research in the health and administrative statistics space and help people get their data needs sorted. I’ve worked with a range of clients from education, not-for-profit, and industry sectors. My idea of a good time is helping people have the “aha!” moments that lead to better insights and decision making, and more critical consumption of statistics. Lots of people are consultants. I even did an internship in management consulting once upon a time. But it isn't a satisfying title for what I want my work with people to look like. I want something that focusses on the communication and interpersonal side, not just high quality and appropriate analysis. I love to work with people who don’t have a background in statistics or analytics so they too can make evidence driven decisions. If you aren’t confident in your ability to analyse your data, you need a go between, you need someone who can be an ambassador for your data. Welcome to the Data Embassy. This is what I’m here for. Life-course predictors of mortality inequalities across ethnic groups in Aotearoa New Zealand. Socio-economic position and changes in this across the life-course have been established internationally to influence mortality, but this research has not occurred in the New Zealand context. Using mortality records linked with the New Zealand longitudinal census dataset, my thesis will investigate existing validated life-course hypotheses to understand which model best explains the socio-economic status and mortality relationship in Aotearoa. The four models are: accumulation (i.e. that the socio-economic influence on mortality accumulates across the life-course), sensitive period (i.e. that the effect of socio-economic experiences on mortality are stronger at some life stages than others), social mobility (i.e. that directional change in socio-economic circumstances impact mortality) and instability (i.e. that unstable socio-economic conditions over the life-course will be associated with mortality). Differences across ethnicities in terms of unstable environments or long-term exposure to harsh conditions will then be investigated to consider their relationship to ethnic disparities in mortality (i.e. higher mortality for Māori and Pacific peoples than for NZ Europeans). This project will take place within the wider context of a project being run in The University of Auckland’s COMPASS, which is being funded by the Health Research Council. See my Google Scholar profile or connect on ResearchGate. I want to live in a world where everyone can be critical consumers and users of the statistics and data constantly bombarding them, both in their personal and professional spheres. Introducing people to statistics in ways that are fun as well as practical is one of my absolute favourite things to do. I am currently lecturing Stats 101/108/101G: Introduction to Statistics at the University of Auckland as well as sometimes instructing with the New Zealand Social Statistics Network (NZSSN). 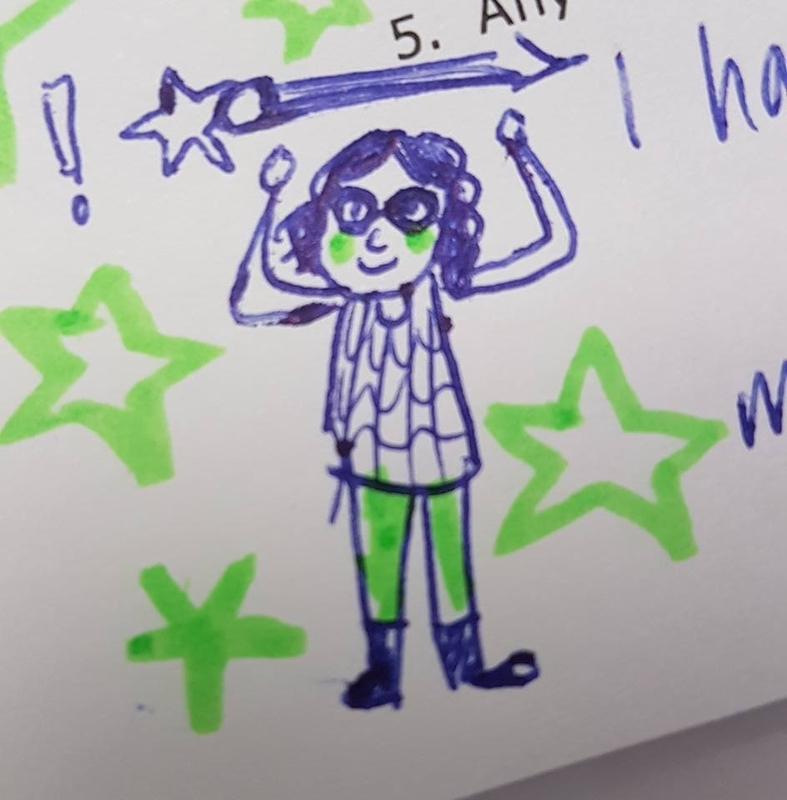 A student doodle of me from their feedback form. 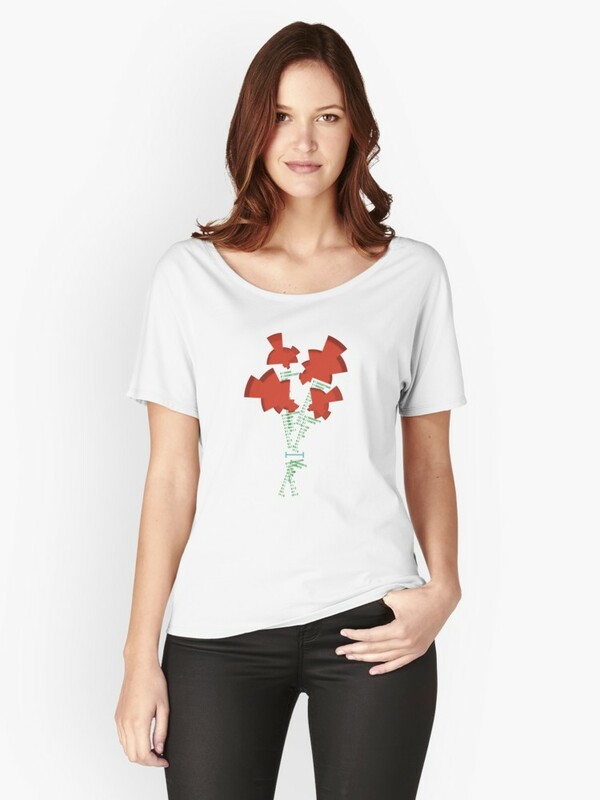 My enthusiasm for statistics also, occasionally, overflows into other creative pursuits like making and selling t-shirt designs! My two favourites are Florence Nightingale's Statistical Bouquet and "just your standard deviant". I love wearing the bouquet for events (as you can see...). Come connect on Twitter and LinkedIn for data and statistics content as well lots stuff about living in Auckland, politics, education and pop culture. You can also check out my University of Auckland profile.